The manager is an absolute sweetheart, made my experience so simple! Employee's are rude / will not help you at all. Management needs to teach employees customer service skills. They would get better customer's if they treated them they way they wanted to be treated. Our goal at Wilson Road Storage is to have great customer service. We are very sorry that we did not meet your needs. Please take the time to send us further information about your experience on the contact us section of our website. This way we can do what we need to improve our yours and other experience in the future. I will highly recommend Wilson Road Storage to a friend. Juan, Thank you for being a long term customer at Wilson Road Storage and leaving a review. We enjoy reading reviews from our current customers. I chose Wilson Road Storage for it's location but I'm recommending it for the fantastic service I got when I signed up. The staff was very friendly and helpful in explaining prices, size options and showing me how to lock and unlock my unit using a lock they provided for only $2! They cleaned my unit for free and were overall very helpful! I would definitely recommend! Thank you for the leaving a review. We are glad to hear that you had great service at Wilson Road Storage. I was with Wilson Road Storage from 2009 until 2017. I have lived out of Ohio since 2011 and it was nice not having to worry about my family heirlooms, personal collections, and furniture. Everything about Wilson Road is superb. Secure, 24 hour passcode gated in a quiet neighborhood, and built on a raised foundation. Flooding is virtually impossible no matter how hard it rains or snows. An onsite employee is avalible for the posted hours. Always professional and polite. They keep the entire facility clean and maintained, even spray for bugs. Rental rates are what one would pay for any storage unit. I started in 2009 at $95 and finished in 2017 at $110 per month for a unit that was about 100 square feet, including tax and insurance. I would recommend Wilson Road Storage to everyone in the Columbus area. Truly grateful I found this place. James we are sorry you had to go but we thank you for taking the time and leaving your review. Had issues with my old storage facility, came here and they set me up right away with a reasonably priced unit while providing outstanding customer service. great location at great price why go any where else? very secure. Would recommend to anyone in need for a reliable facility. This storage facility has great friendly staff and my unit was clean and ready for me as promised. Would definitely recommend this to a friend. very fast in getting everything ready. Impressive with everything they do from facility all way to payments a month for the units. The fact that they go through u haul is amazing in itself. I had a really great experience with Wilson Road Mini Storage. The guy was really nice and explained everything to my understanding and the storage unit was already cleaned so I don't have to do anything but load my stuff in there. Great storage unit. Prime location. Very clean. Wilson Road Storage was great! Although I was not able to reach them by phone, I went into the office and was able to secure the 10 x 10 storage unit I wanted straight away for move in the next day. The staff were very friendly and also helped me get a U-Haul for free and were super helpful. The unit is clean, secure and for a great price. One of the best prices in town. I started renting with them just a month ago and the staff is very helpful. Saw to it that I got the size I needed. It's also very convenient in that it is 24hr access. The property is lit pretty good at night also. I had a great experience. The process was simple and hassle free. I love knowing that my belongings are in a safe place. Very good management very clean nice location! :) affordable! I am very pleased with both the company and the on-site manager who was very courteous and efficient. Glad I chose Wilson rd. storage. I've been using this storage location for about 8 months now. Everyone is friendly and very helpful. Location is great just around the corner from my home. The facility is always clean. The security is top notch. I've never had any problems. I've had storage units in other locations and the security wasn't so great at the other storage place the unit wasn't completely enclosed and I had some things stolen from people reaching over my unit and taking things. One of the main reasons why I chose this facility is because of the enclosed units all around. Thank you for making this a great experience. Would definitely recommend to family and friends. My sister also has a unit there as well. Review Credit for extended time, appreciated if you call me back at 614-517-5891. Thank You! Great experience. Helpful and friendly staff. I was in and out quick. Units were nice and clean. Clean facilities, reasonable rates & professional staff. Clean units, friendly and professional employees and I will definitely recommend them to others. Thank you for helping me! I enjoy the security aspect of Wilson Road Storage. They have video surveillance so I feel my items are protected from theft. They have reasonable low monthly fees as well. They let you use their moving truck for free if you reserve it in advance. Overall my experience with Wilson Road Storage is a positive one!! Clean units, good security and great service. Just recently began storing stuff at the Wilson Road Storage location and could not be happier. The office staff is friendly and attentive and I love the location. Easy access to I70 and major roads which make it easy to get in and out. Great facility, smooth sign up. Easy, and safe access. Highly recommended. The wilson rd storage facility is very clean and oraganized company. The manger on site is always very helpful and kind. When needed assitance he was very prompt to get back with me. I would refer anyone to this unit. Management was friendly, efficient, honest and welcoming. Unit was clean and affordable. This storage facility is great. I rent at Wilson Road. They are always pleasant and accommodating when possible. I have not every had any security issues. I would definitely recommend this facility. I HAVE BEEN AT THIS LOCATION FOR SEVERAL YEARS AND I HAVE NEVER HAD TO WORRY ABOUT A THING MY BELONGINGS ARE ALWAYS DRY AND WELL PROTECTED. great, easy customer service awesome! Took just afew minutes to rent space! I've been using Westerville mini storage for years. 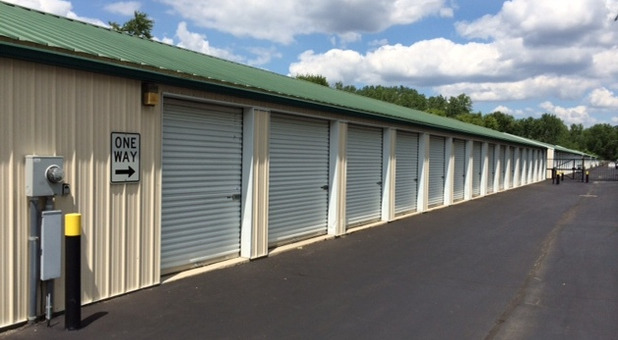 The storage units are secure and always clean and the staff is all helpful and courteous. Units are very clean. Very well maintained on location. Bob is vey helpful and kind!! Great to work with. So far My experience has been positive. I like the alarm system on each unit. I really enjoyed having my stuff stored at Wilson road storage. The staff is very friendly and very helpful. The prices are low and the units are huge. I've used Wilson Road Storage since 2009. The staff is friendly and helpful. I appreciate being able to view my account online, pay electronically and communicate via email if needed. They also send my receipts, along with 'friendly reminders' if needed by email. When I misplaced my key or couldn't exactly remember my security code the staff was there to help while still making that it was indeed me. I have been very pleased with my experience with Wilson Road storage. Their units are clean and reasonably priced. The manager is also very friendly and eager to help if you have any issues. I find their online bill payment service very convenient as well.